FASTNET ROCK (AUS) (Bay 2001-Stud 2005). 6 wins to 1200m, VRC Lightning S., Gr.1. Champion Aust. Sire twice. Sire of 1562 rnrs, 1105 wnrs, 138 SW, inc. Atlantic Jewel (ATC All Aged S., Gr.1), Sea Siren, Fascinating Rock, Zhukova, First Seal, Laganore, Planet Rock, Mosheen, Shoals, Merchant Navy, Driefontein, Catchy, Comin' Through, Amicus, Heroic Valour, Awesome Rock, Atlante, Super Cool, Foxwedge, Lone Rock, Avantage, Rivet, Unforgotten, etc. IT'S CRUNCH TIME (g by Fusaichi Pegasus (USA)) 6 wins to 1200m, A$250,861, TTC Newmarket H., L, MRC (Mornington) Buy Property H., MVRC Essendon Mazda Challenge Heat H., TBV Newmarket Insurance H., Companion Leisure P., 2d MRC Manfred Phillips H., Sportingbet H., MVRC Device Technologies H., 4th MRC John Dillon S., L.
Rockfast (g by Fastnet Rock) 5 wins from 1200m to 2000m, NZ$134,675, S$317,632, Singapore TC Gingerbread Man S., Kranji C S., Class 4 H.-twice, 2d New Zealand Two Thousand Guineas, Gr.1, ARC Great Northern Guineas, Gr.2, Karaka Mile, RL, Matamata RC Slipper S., L, WRC NZTBA Wellington Guineas Trial, Singapore TC Arenti S., 3d Singapore Derby, L, Singapore TC Committee's Prize, L, Cambridge JC Clubhouse Sports Bar S., Singapore TC Benchmark 83 H., Panasonic Technology S.
Perfect Lifeline. Winner at 1600m, 2d MRC Helen Egan H.
Guess Again. Winner at 1100m in 2017-18 in Aust. Lifeline Express. Winner at 1200m in NZ. Atomic Charge. Winner at 1400m in 2017-18 in Aust. 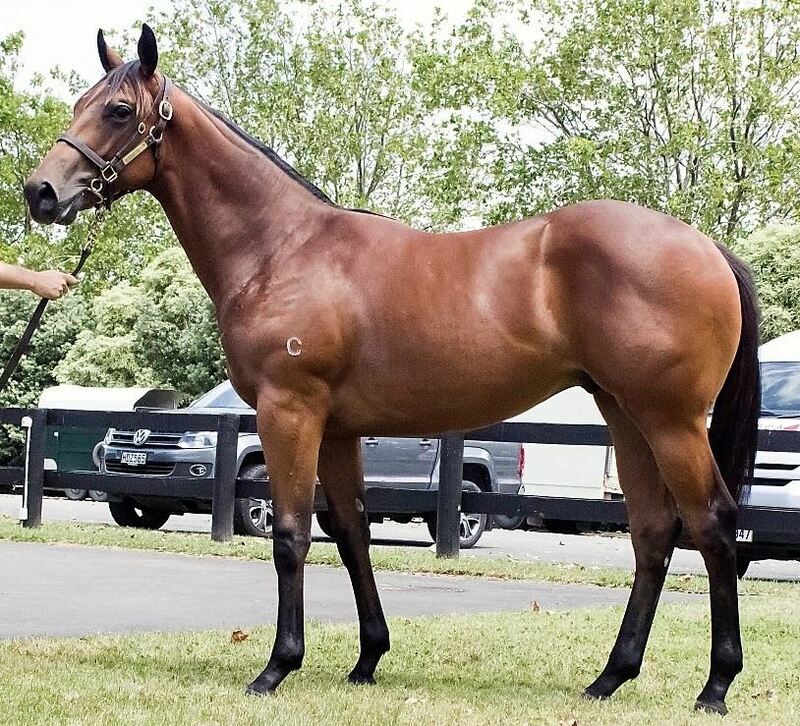 Sadlers Rock (g by Rock of Gibraltar (Ire)) 5 wins at 1600m, 2200m, NZ$93,050, WRC Direct Fish & Oysters H., 2d Otago RC Queenstown Cup, Southland RC Invercargill Cup, Hawke's Bay Cup Prelude H., WRC New World Wellington City H., 3d Wairarapa Cup, Manawatu RC Bayer Seedgrowth H., 4th Hawke's Bay Gold Cup, Gr.3. Run Gypsy Run (f by Fastnet Rock) 4 wins at 1100m, 1200m, A$142,400, to 2017-18, MRC Clanbrooke Racing H., SAJC Holdfast Insurance H., 2d MVRC William Hill H., Ellar Classic H., 3d MRC Le Pine Funerals H.
Tears to Laughter (g by Fasliyev (USA)) 2 wins at 1250m, 1400m in Aust. SUNSPANGLED (f Caerleon) Champion 2YO Filly in Ireland in 1998. 2 wins at 2, £151,535, Ascot Fillies Mile, Gr.1, 2d Irish Oaks, Gr.1, Leopardstown Debutante S., L. Producer. FRENCH BALLERINA (f Sadler's Wells) Joint Champion Older Female Stayer in Ireland in 1997. 6 wins from 1m to 2m, Curragh Diamond S., L, Leopardstown Saval Beg S., L-twice, Naas Garnet S., L, Cheltenham Supreme Novice Hurdle, 2d Gowran Park Victor McCalmont Memorial S., L, Punchestown Champion Novice Hurdle, 3d Leopardstown IAWS Novice Hurdle. Rapido Domingo. Winner at 2 in 2018, Rome Premio Furry Glen, 2d Rome Premio Levmoss. Whenindoubtsmile. Winner at 2 in 2017, Milan Premio San Babila, 3d Rome Premio Daumier, Milan Premio Teatro Alla Scala. FILIA ARDROSS (f Ardross) 8 wins. See above.